That, my friends, is me running out of yarn with about 6 inches of bind-off left on a shawl I had finally almost finished after letting hibernate for two years. 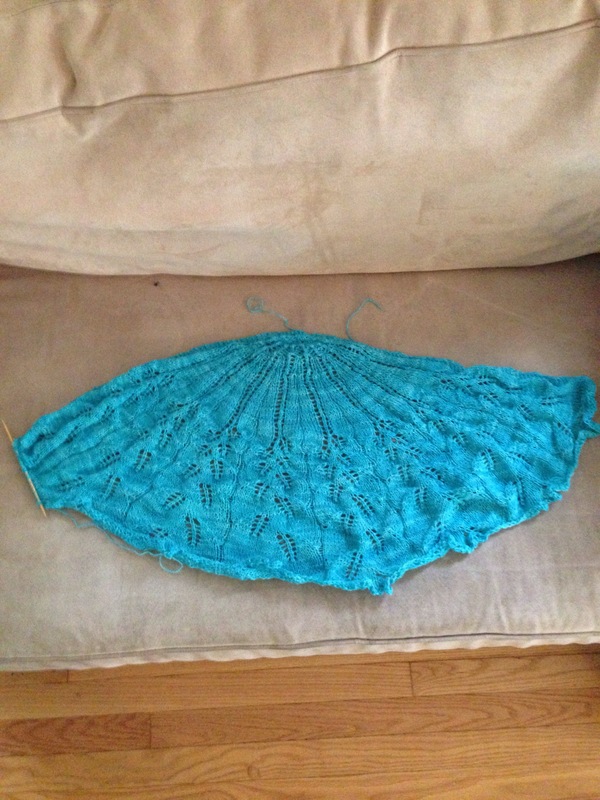 This was the Through the Loops Mystery Shawl of 2012, and I set it aside in July of that year when I got involved knitting other things (which were almost all Through the Loops designs, so I was monogamous, in a way). I wanted to knit this year’s Mystery Shawl, but decided to make myself finish that one first. It was going great! 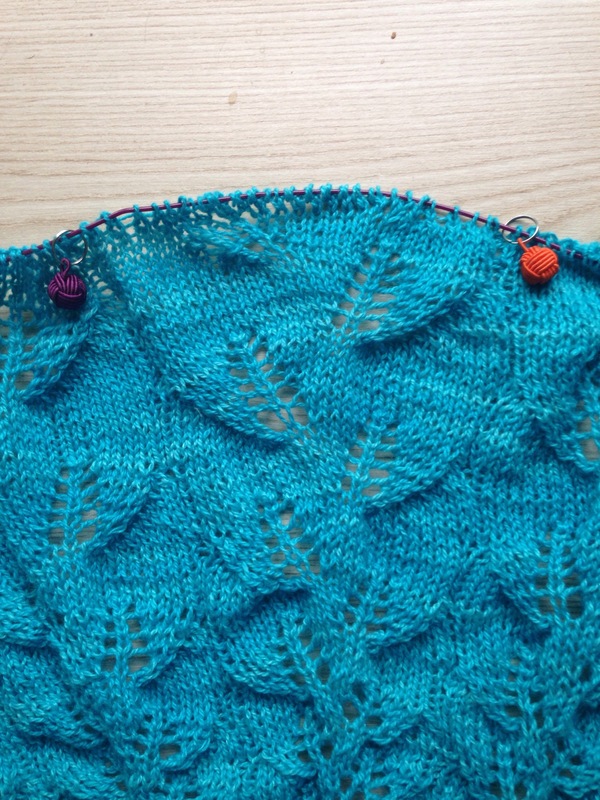 This is such a great knit, and such a dreamy yarn (Jade Sapphire Silk/Cashmere 2-ply). LOVE it. 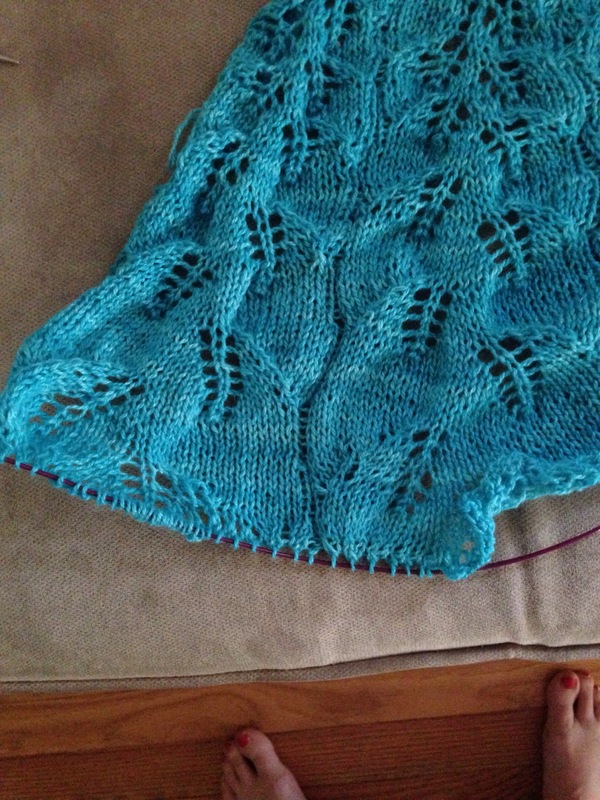 When I picked the shawl up, I was, of course, surprised to see that there wasn’t really that much left to do. But as I knit, I realized one of the reasons I set it aside in the first place – I was almost certainly not going to have enough yarn. No idea why I ordered one skein of 400 yard yarn, when the pattern calls for 450 yards. And I can’t find more of this color (Curacao) anyway – I think I got it on closeout. At any rate, I stopped the final part of the pattern a few rows ahead of where it was supposed to end, even tinking back an entire row of lace to make sure I had enough yarn to finish up. Last Sunday night, during Game of Thrones, I did the bind-off, until there was no more yarn. Right now, the idea of undoing the bind-off and ripping back a bit is more than I can stomach. I’m going to weave in what few ends there are (I think there are three) and see if I can splice together enough yarn from what’s left after that to complete the bind-off. Otherwise, I have no idea what I’ll do. It was disappointing enough that I actually went two whole days before doing any more knitting, which is kind of unheard of for me. Well, it wasn’t only disappointment and discouragement, my week also became blindingly busy and there was just no time or energy for any knitting (and certainly not for any spinning). 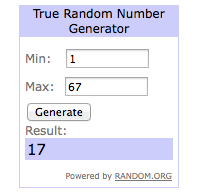 #17 – Susan Michaud, who wrote: “I pinned it to my Kids board on Pinterest. As a grandmother of 8, this is good to know!” Thanks, Susan! I’ll be in touch! Thank you again, to all of you, for your kind comments – and for your warm wishes for my kiddos for their birthday! Could you match the color with embroidery thread? 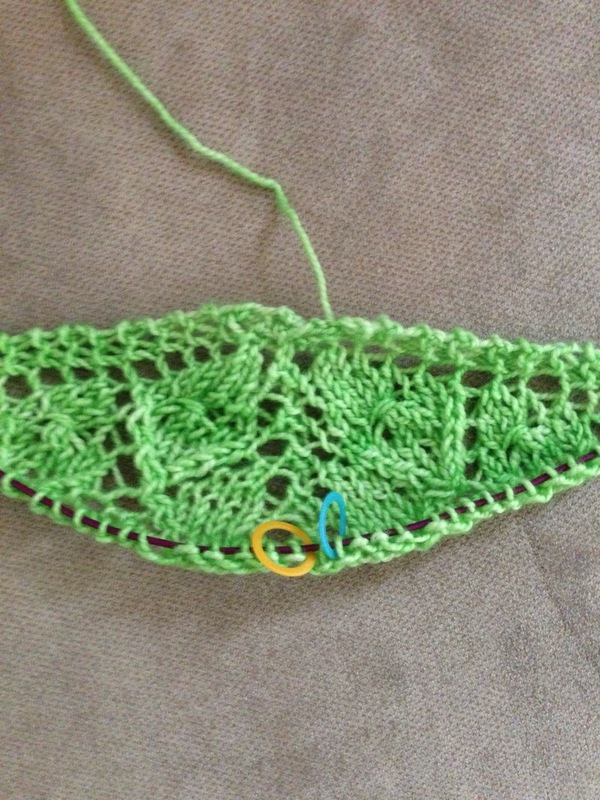 Then you could bind off that last bit with it.